This week has been full of up’s and downs. In the name of research we have been out and about looking at potential new wedding venues and getting rained on in the process. However it didn’t stop us getting very excited by some of our fabulous finds for our special venue feature coming up later this month. Another up was that my hand is recovering well so I managed to get my hand splint off and am now typing this post with two hands – sort of. Hurrah! However I wasn’t able to do my Moonwalk last night (read about my training here) but here’s hoping my team mates had fun – well done girls! On the blog this week we started with a Butterfly Inspiration Board to get the creative juices flowing. 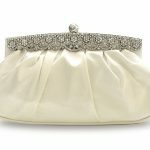 We featured the new Ghost dresses available at John Lewis and shared our top five Bridal clutch bags from the High Street. There was also the fourth part of our vintage wedding planning special with Vintage Tea Kent who showed us their gorgeous tea sets to help style any vintage event to perfection. 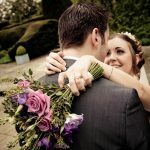 We were also really excited to showcase the Real Kent Wedding of Danielle and Chris. 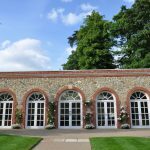 The couple celebrated their day with a fabulous Country Fair theme so take a look if you are planning your own country wedding for more inspiration. 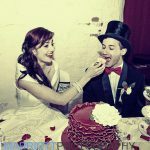 Look out next week for part five of vintage wedding planning with the bit you’ve all been waiting for – the dresses! 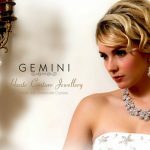 Plus two fantastic supplier finds and news of a designer dress wedding sale – what’s not to love!